Please note that you must sign out of the account first to be able to delete it. 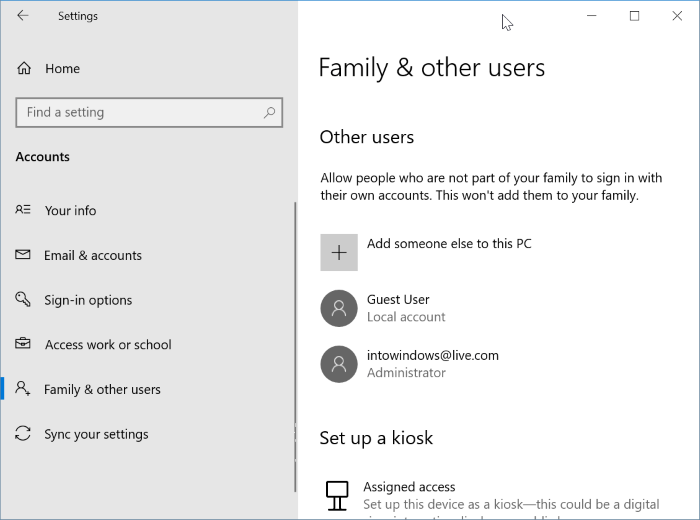 You can either manually sign out or simply reboot your PC once to automatically sign out of all accounts. 1. Open the Settings app. 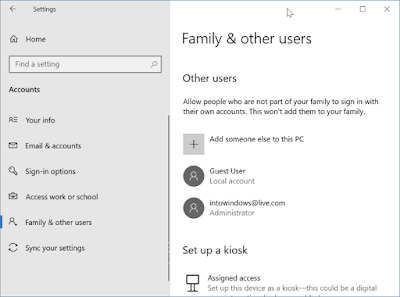 Navigate to Accounts -> Family & other users. 2. 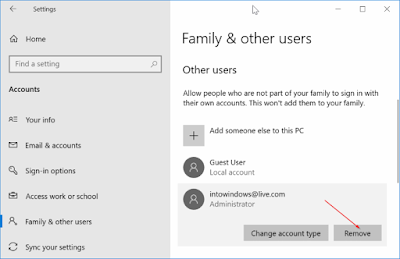 The Other users section lists all user accounts exist on your PC. 3. 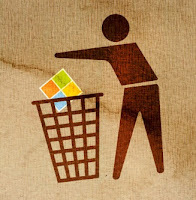 Click on the Microsoft account that you would like to delete and then click the Remove button. The account that you are currently signed in to doesn’t appear in this list. 4. Make sure you read the confirmation dialog, after that click the Delete account data button. 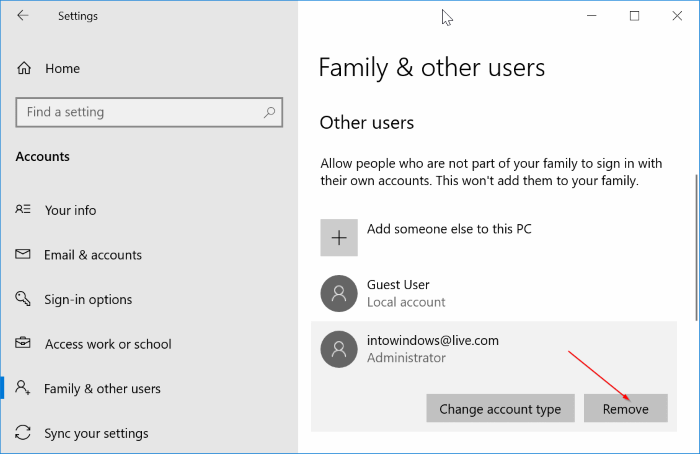 Please remember all data present in that account will be deleted along with your Microsoft account from your Windows 10 PC.